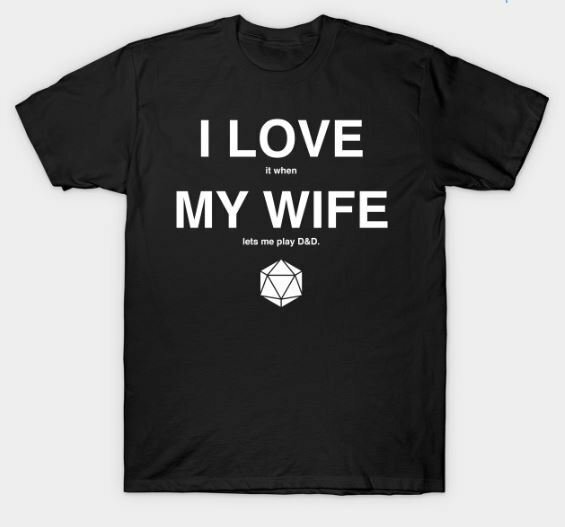 Show how much you love your spouse and, uh, how she lets you play D&D. Note: This item will be shipped separately from other item in your order. It's printed by and shipped from Teepublic.